Enjoy dinner and a show including beverages and our award-winning pie in our concert venue located behind the bakery. Triumphant is the face of quality Gospel Music, Christian integrity, family values, friendship and dedication. The group has been that way since their beginnings in 2003, when the four friends first walked onto the stage of the Louise Mandrell Theater, in Pigeon Force, Tennessee as a headlining talent. Each current Triumphant group member was there in that defining moment, and has continued together ever since. 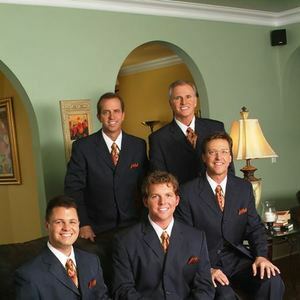 Their smooth harmonies and rich quartet sound quickly gained them national attention, recognition and concert demand. For a list of all events happening at the Hartville Kitchen, please Click Here!